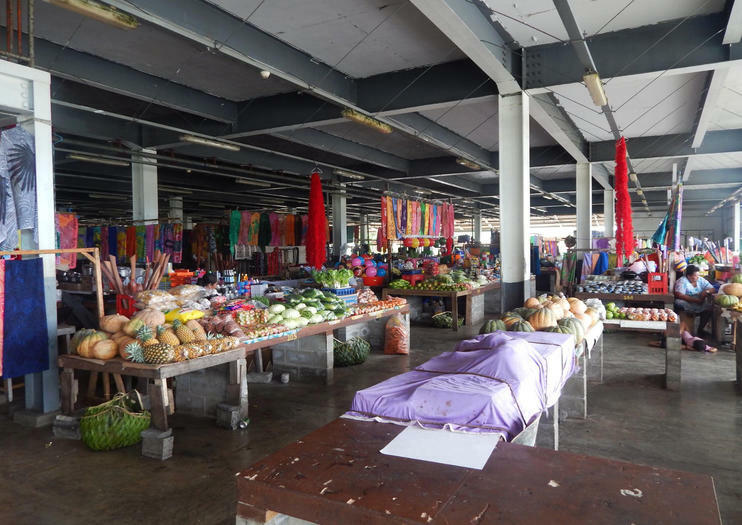 Bursting with colorful clothing and produce, the Salelologa Market is the beating heart of southeastern Savai’i. Just as popular for people-watching as it is for purchasing goods, the market is where you can tap into the pulse of everyday life in Samoa, as well as sample exotic produce or find some locally made crafts. Since Salelologa is the island’s only town with a ferry off of the island, the market exudes a port town feel with the comings and goings of commerce, and is also the central meeting point for many of the island’s tours. It’s also the site of the central bus terminal, where residents from every corner of the island will come to sell their wares at the stalls or catch a ride to the village. When visiting Salelologa Market, search for local clothing items like colorful lava lavas, or watch as locals pick through fish that was caught earlier that morning. Insider's Tip: Since ferries tend to run on time, don’t get stuck haggling over prices at the market and end up missing the boat. Most stalls at Salelologa Market are open from 7am through later afternoon. The market is 1.2 miles from the wharf, which takes 20 minutes to reach on foot or 3 miles in a car. Combine Samoa’s history, natural beauty and unique wildlife on this half-day guided tour of the northern coast of Samoa’s largest island, Savai'i. This tour wraps all the highlights of the northern coast into a convenient package, saving you from having to hire a car to get around. For travellers staying a while, this tour is a good way to get your bearings before travelling around the island later in your trip. Get to know Samoa's culture, industry and natural beauty on this half-day small group tour of the southern coast Savai'i, Samoa's largest island. Make the most of your time on the island instead of spending precious time trying to find the highlights. If you're staying for a while, this tour is a good way to get oriented - having some reference points makes navigating the island much easier.